March 29, 2009 -- This Thursday, April 2, NBC's "ER" will broadcast its series finale, after 15 years of the popular, intense prime time drama about a busy public ED in Chicago. The show has always been physician-centric, with only one major nurse character to balance its 8-10 lead physicians. It has persistently suggested that ED nurses report to physicians, rather than nurse managers. And it has featured a great deal of physician nursing, in which the physician characters provide care that nurses really do, from defibrillation to triage to psychosocial care of patients and families. The show's relative realism and overall dramatic quality has only made these flawed depictions more persuasive to millions of viewers around the world. However, particularly in the last few years, the show has also included some of the best depictions of nursing ever seen on prime time television. Its major nurse character has at times operated with startling clinical skill, and even minor nurse characters have played roles in care that are clearly more important and realistic than those seen on any other recent network show. Episodes broadcast over the last few months illustrate all of these features. So on the occasion of the show's farewell, we discuss several of these plotlines as a tribute to what may well have been--for all its flaws--the best major U.S. network show ever for nursing. more...see film clips from the three episodes! February 2007 -- Five recent episodes of "ER" that chronicle the short ED stint of nurse Ben Parker illustrate the NBC show's sometimes impressive--but still mostly inadequate--portrayal of nursing. "ER" is the only drama now on television to make any real effort to show that nurses are skilled, intelligent, and important to patient care. These episodes, broadcast over the last four months, highlight a strong, competent man in nursing. 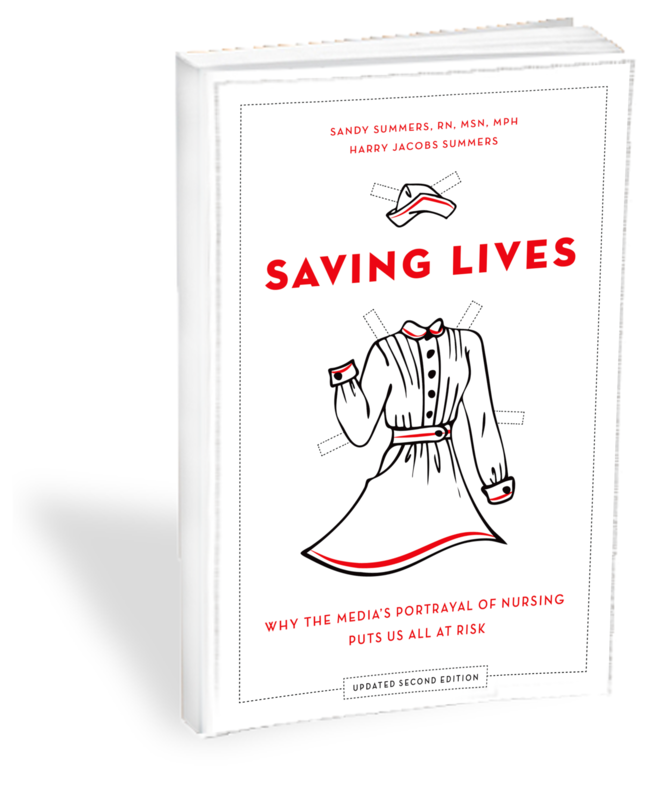 They also include examples of ED nurses' life-saving skill, patient advocacy and education, especially by tough, expert major nurse character Sam Taggart. But the show's physician-centric structure--after nearly 13 seasons, there is still just one major nurse character--and assumptions mean that each scene with such commendable features will be outweighed by many others suggesting that physicians provide all important care, including key things nurses really do. Notable examples in these episodes include the countless nurse-free patient handoffs from paramedics. Sometimes one scene sends all these messages at once. Showrunner David Zabel and Lisa Zwerling, MD, wrote, together or individually, three of these episodes; Karen Maser and R. Scott Gemmill are each responsible for one of the others. The episodes each drew roughly 11-13 million U.S. viewers. "OK, folks, the good news is the hospital has approved four-to-one ratios." Join our "ER" Sponsors Campaign! March 3, 2005 -- Our "ER"s sponsors campaign moves into phase 2 today, as we ask our supporters to start contacting major corporations to ask them to stop advertising on "ER" until the show ends its damaging handmaiden portrayal of nursing. Learn more, or click here to take action now. We urge corporate giants to divest from NBC's "ER"
February 25, 2005 -- We have launched a campaign asking 23 major corporate sponsors of the NBC/Warner television drama "ER" to refrain from placing further advertising on the popular show worldwide until it dramatically improves its portrayal of nurses. "She's the nurse, maybe she doesn't know"
"The Nurse with the Purse"
American Journal of Nursing publishes our "Viewpoint"
Nursing: good enough for media feminists' mothers, but not their daughters? "ER" nurse characters are suddenly mad that everyone thinks they're just handmaidens of physicians. But that doesn't mean they'd date anyone else! Dear "ER": some protests more equal than others? Our organization and the ENA discuss portrayal of nursing with makers of "ER"
Our organization requests conference call with "ER"
Bullet point list of problems with "ER"'s portrayal of nursing to help you frame your letter to the makers of "ER"
Letters from nursing leaders to "ER"